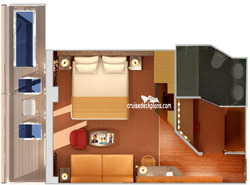 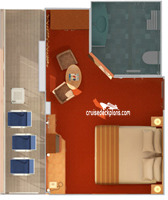 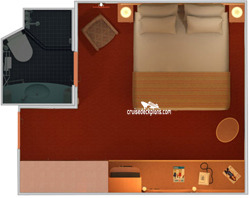 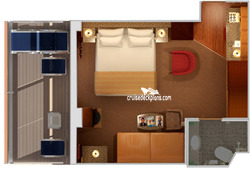 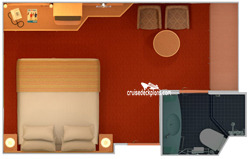 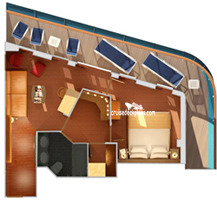 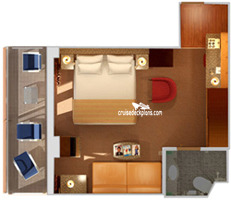 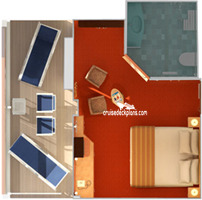 * Aft facing balconies are semi private and can be viewed from balcony of cabin next door. 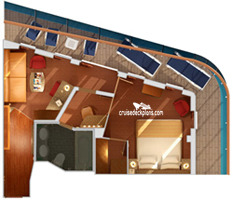 The outer part of the balcony can also be viewed by deck above. 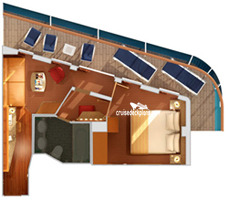 * All cabins on this deck are below public areas on the deck above and therefore could have noise issues. 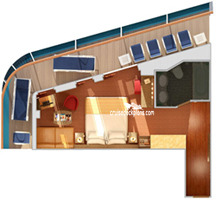 This is especially true of aft cabins underneath the Serenity Pool area on the deck above and the cabins between the two staircases forward which are under the main pool area.